For the first century of its existence, this 200 year old diamond cut with a shape of pillow was the most popular diamond shape of its time. It became a de facto diamond shape in the early 20th century. Cushion cut diamonds collate the square cut with round corners; it is a classic cut and meets the standards of individuals who like the combination of square and round shape diamonds. Cushion Brilliant Cut diamonds were originally instigated by Marcel Tolkowsky during the 1920’s when he was doing research on different cuts of diamonds. Overtime, the cushion cut diamonds went trough some conspicuous changes such as smaller culet, larger table, and an improvement in its brilliance. These refinements attracted many buyers because it made the cushion cut diamonds to have an antique yet a modern look. The modified cushion cut diamond is basically an alternative version of the original cut with modern variation to keep up with the style as well as the demand of buyers. 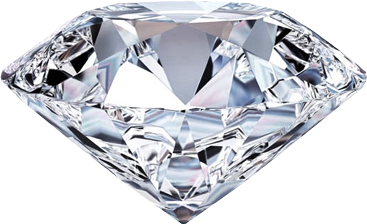 A modified cushion diamond tends to have a “crushed ice” or a “needle” like facet pattern. They contain an extra row of facets below the girdle, and the facets on the pavilion do not reach the girdle. It possesses a sparkle that is analogous to sparkling water. One benefit of this shape is that diamond cutters save more carat weight than in traditional cushion brilliant cut diamonds hence making it a more economical diamond. The demand for modified cushion cut diamonds is low which also effects its price. When you look through the table of a modified cushion cut diamond, you won’t be able to find faceting in it unlike the standard cushion cut diamonds. Therefore, there is a significant difference in the look of the standard cushion cut and the modified one. A modified one would have radiant/crushed iced sparkle unlike the standard one. A hybrid cushion cut is recently introduced where cutters tries to achieve the roundish brilliance of the standard cushion count while also saving on the carat weight by using the cutting technique of the modified cushion cut. This cut contains four pavilion facets which extends from the center towards the girdle just like in standard cushion brilliant cuts, but with modified facets between them like in the modified version. There are many standards that buyers should consider before buying a cushion cut diamond. But, personal taste will always dictate the choice. Cushion cut diamonds have great fire (the light that is reflected out of a diamond in a rainbow of color). Please follow the following guide for determining the quality of either the standard or modified cushion cut diamond. Use the chart below to serve as a general guideline for you when evaluating the different aspects cushion cut shape. 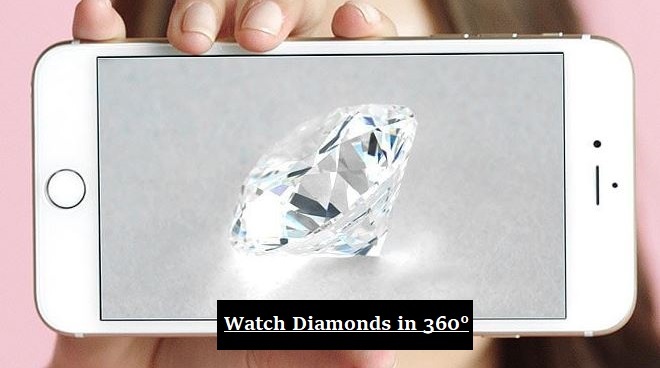 Tools like JamesAllen's 40X Magnified 3D 360 Degree Video Technology can be very helpful in assessing how cushion cut diamonds defer from cushion modified brillliant cut diamonds. It can also help you assess lenght to width ratios to determine what might be optimal ratio that you like. Try to play with their search filter to get a better sense what would be ideal. Most of the time, cushion diamond cuts are sold in square shape with a length to width ratio of 1.00, but these luminous diamonds also come in rectangular shapes. If you are looking for a popular cut, buy a cushion diamond that is slightly rectangular in shape. The length to width ratio of that choice should be 1.10-1.21. The chart below should be a nice a guide to help you to evaluate the length to width aspect of cushion cut diamonds. Just like evaluating the color in other diamond shapes, color in cushion cut diamond is also subjective.Our experience indicates many buyers prefer the warmer colors over the cool colors. In the color spectrum, the warmer colors refer to G-I diamonds while the cool colors refer to D-F diamonds. The good side to that is the price premium for a lower color grade cushion cut diamond would be much lower. Choose a cushion cut diamond that meets your standards in terms of clarity. Each of our customers has a unique standard for clarity and color. Some of our customers want a flawless diamond with a lot of clarity, while others are perfectly comfortable with a slight inclusion as long as it is not easily noticed. GIA provides excellent help with their clarity grades, so you can use it to choose an oval cut diamond that will meet your standards. The chart below serves as a general guide for you to evaluate clarity in oval diamonds.